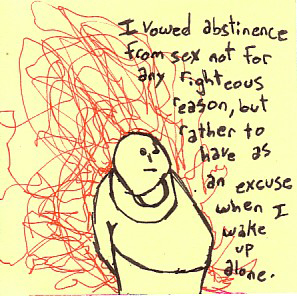 "I vowed abstinence not for any righteous reasons, but rather to have as an excuse when I wake up alone." Purchase this original sticky note artwork on sweet tees, engaging beer mugs, silly buttons and much, much more! .